In many families, setting out stockings on Christmas Eve is full of excitement, wondering what they’ll be filled with the next day. Then they’re the first thing that gets seen or opened on Christmas morning. Since this is such a fun time for the kiddos, we really try to include things they’ll love in their stockings – but that won’t break the bank, of course. I also try to find little gifts that aren’t just ‘filler’ stuff (although we do include the typical toothpaste and such), because things that will last and be useful or used quite a bit are more worthwhile. 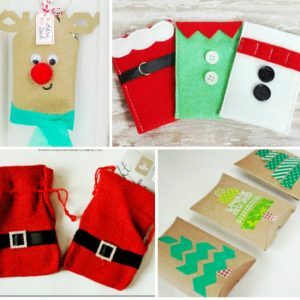 If you’re also on the lookout for quality, useful, fun AND affordable stocking ideas, here’s Over 100 Stocking Stuffers under $10 to help out! Priced at just $4.95 or less per bottle, these make terrific stocking stuffers! There’s a bit of variety for every kiddo – from Emoji Poop Slime to Glow in the Dark Slime, as well as Unicorn Poop Slime, Jurassic World Slime (in Indoraptor black or T. Rex Cyptogenic green) and, of course, the Original Super Cool Slime! Each themed glop comes in a fun container – so much play to be had by all! This classic game of Charades is designed especially for kids to play and enjoy! There’s 3 levels of clues, so kids of all ages can join in the fun. Each card includes a clue with a picture – no reading is required (although the combination of the picture AND its corresponding word helps reinforce early reading skills, so bonus!). Perfectly sized for travel – a great family game on-the-go. For 3 or more players, ages 4 and up. What stocking stuffers do YOU love to receive? I love holiday shopping, whether I’m actually buying anything (I do most my shopping online!) or just enjoying the spirit and decor browsing the stores for ideas. Now I’m not talking about Black Friday time, because with all the craziness there’s definitely not the Christmas spirit – but afterwards, further into the season, when it’s more slow and enjoyable. As I’ve gotten more years of being a mom and family under my belt, I’ve learned that while toys and clothes are all wonderful and great, sometimes it’s the gifts of experiences or memories that mean the most – and last the longest. 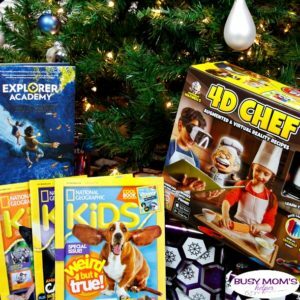 If you’re looking for some ideas for gifts that aren’t going to clutter the shelves or end up in the toy donation bag shortly, here’s are newest holiday gift guide full of Gifts That Are Not STUFF! Every year, especially as my kids get older and more picky, I try to find more ideas of things I can give them that will last. Or something they can DO or go actually experience for themselves. Whether it’s more simple like movie tickets to enjoy a film with friends, or some new paints to jump right in to remodel their bedroom together, there’s really so many possibilities out there to fit about anyone’s interests! 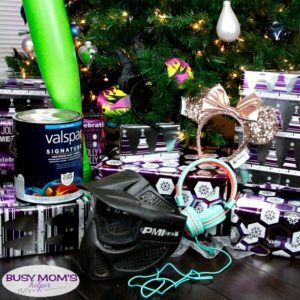 So if you’re looking for gifts that aren’t stuff this year, here’s some great ideas to help out. Sports games like baseball, football, basketball, soccer (whatever the preference is) – season passes if you want to go real big! Remodel their bedroom – let them help and really make it their own style! What gift would YOU want that isn’t stuff? If you’re new here, then here’s something that you’ll notice very quickly – we’re very dorky. We love all things nerdy and geeky, from Star Wars and Star Trek to Harry Potter, video games, and superheroes. As such, a lot of my kids’ holiday wish list items fit on this list. 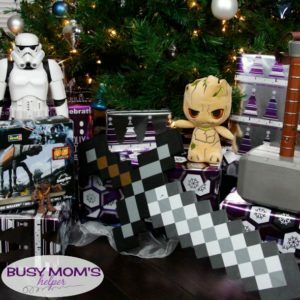 In case you’re in the same boat, we wanted to share our newest Holiday Gift Guide: Gifts for Nerds and Geeks! Like I said, we’ve included a big variety here to try and cover almost everyone. Not just with themes, but in type of gift – clothing, home items (Captain America slow cooker, anyone? ), decor, and toys for multiple ages from the littles and adults. Maybe you’ll find a few things you want to add to your own wish list, too! Bring an awesome escape room experience home with this multi-scenario game! It’s perfect for MacGyver fans AND escape room fanatics! Use the tools you’re given to solve the puzzles and diffuse the bombs – leading to a final scenario that’ll require everything you’ve learned to stop a familiar opponent! For 1-4 players, ages 12 and up. Target exclusive. I remember playing this on the computer when I was little, and can’t wait to share it at home with my family! For those that aren’t sure what this is: It’s 1844 and you – along with your family – have joined a wagon train in Independence, MO heading to Willamette Valley to find your fortune in the West! Players will place tiles to discover the trails, rivers, forts and towns ahead of them as they travel. Watch out, because your perfect scenic journey may be stopped by disease, drowning, rattlesnakes or other hazards you’ll encounter along the way! Hunt for food, deal with limited wagon space, and make decisions that may mean supplies OR family members. Can you survive the trek? For 2-4 players, ages 14 and up. My girls are almost teenagers, and along with all the ‘joys’ of this age comes the tendency to be even pickier when it comes to gifts. Teenagers can be super hard to shop for, and they’re not always clear on telling you exactly what they want, either. 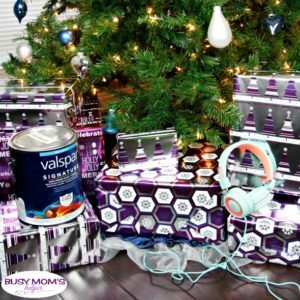 Luckily, there’s some things that most teens would be thrilled to receive, so here’s several ideas in our newest Holiday Gift Guide full of great Gifts for Teens to help you out! New Shoes – Teens seem to love shoes! What would be on YOUR teens wish list? I have all sisters, so when I ended up with THREE little boys of my own, it was like a whole new world – I never thought I’d know so much about LEGO, Minecraft or cars! I will admit, it does make holiday shopping even more fun, though, because there’s such a great assortment of things they’d be thrilled to find under the tree. 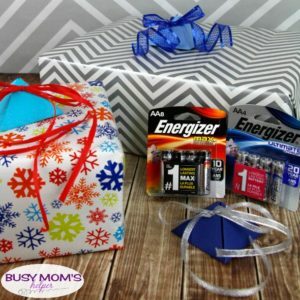 To help my fellow boy moms out there find some great ideas, here’s this year’s first Holiday Gift Guide: Gifts for Boys! 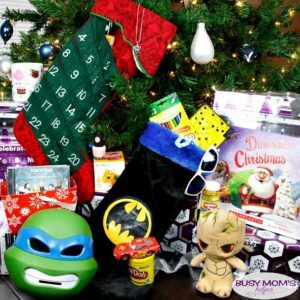 There really is a remarkable variety out there of things to consider for your boys’ holiday gifts, but here’s some that we think are among the top – and either are things my boys already enjoy from previous gifts, or are things on their wish lists this year. From superheroes to Pokemon, comic books to Banshees, there’s a little something for anyone! Create a one-of-a-kind racecourse with this amazing toy race track that’s made of soft, durable foam. With curved tracks, orange racing cones and – the best part – interchangeable car parts – this build-it-yourself kit is perfect to let kids get down on the floor for some creative fun! The award-winning Modarri race cars are some of my kids’ favorite cars, and this set comes with 20 pieces of quality EVA foam track, 11 pieces of racing accessories, 3 soft racing tire stacks and 13 interchangeable Modarri car parts. Imagine the possibilities! Buy it on their site or on Amazon. You’d be amazed how long these last – my Iron Man uses his all the time, yet it’s still in one piece a year later! Okay, I admit that I’d want one of these adorable Pokemon, too! Not only is it fun for them to build, but the lights add a whole new level of fun! We have TONS of these, yet they always find ways to use them all to create worlds, buildings & creatures – then want more tiles to do more! Another great building-type of toy which my boys just can’t get enough of. It’s fun to see their imaginative creations! My three boys LOVE Iron Man, Hulk and Thor – so why not let them dress up as them in comfy pjs at night? It even flaps its arms – adorable! My Iron Man is always asking for a ‘step tracker like moms’ – this would be PERFECT! Okay, you’ve likely seen the hilarious Chewie mask movies – why not bring it to life at home, too? Of course we have this sword, an iron one, a pick-axe and everything – not just because my boys love them, but hubby does, too! Kids love slime, so why not add some learning to their fun with this awesome kit? With 18 pieces – including measuring cups, mixing sticks and slime activator – they can whip up a jar of glitters lime, glow in the dark and even multi-color slime. Every budding scientist would love to get one under the tree this year! My boys saved up like crazy to buy one of these at Walt Disney World to share – and they absolutely love it! With the growls and roars, plus the wings you can control, it’s such a fun and interactive figure for them to enjoy. What gifts for boys will be on your kids’ wish list?